Ohio caffeine addicts, rejoice: Crimson Cup just introduced a smooth new ready-to-drink coffee! Our Canned Cold Brew features direct trade Guatemala Antigua coffee inspired by a legendary ghost dog. This naturally sweet and chocolatey cold brew is the favorite drink of cuppers at the Crimson Cup Innovation Lab, who traveled 84,000 miles last year to seek out the world’s best java. It took about a year to develop the Canned Cold Brew. “We were looking for a sustainably sourced coffee with superior smoothness,” said Founder and President Greg Ubert. “Made with just coffee and filtered water, our Canned Cold Brew is smooth from start to finish. “With no added sugar, this naturally sweet beverage is perfect for health-conscious coffee drinkers, though we are confident all coffee lovers will enjoy this amazing cold coffee on the go,” he added. Our team found the perfect coffee for Canned Cold Brew at Finca El Caedjo – a small farm in the Antigua region of Guatemala. Grown by Mario Rodas and his mother Lucrecia on their small farm, the coffee tastes slightly sweet with notes of bittersweet chocolate, floral and citrus. Finca El Caedjo takes its name from a mythical Guatemalan dog believed to shepherd drinkers safely home after a night of indulgence. This incredibly smooth coffee is sustainably sourced through our Friend2Farmer direct trade program. 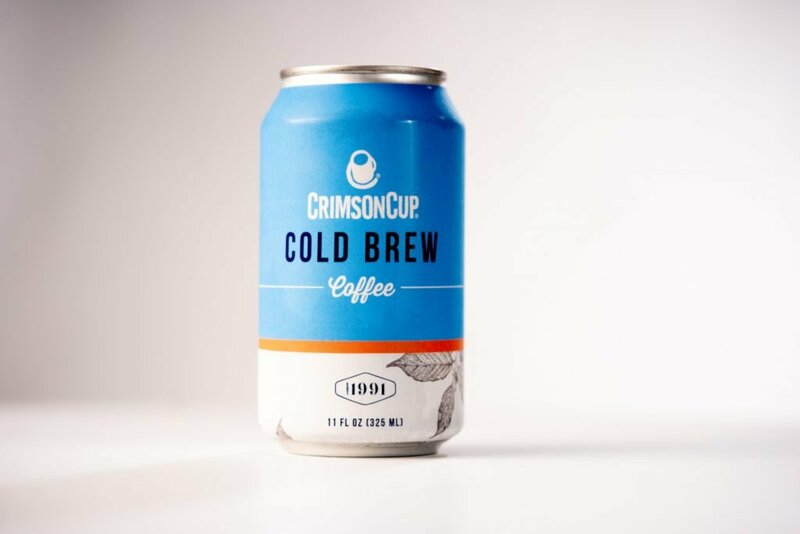 To celebrate the launch, Crimson Cup Coffee Houses in Clintonville, Upper Arlington and Tallmadge, Ohio will sell Canned Cold Brew for $1 per can on April 9 only, while supplies last. An 11-oz. can normally costs $3.99. The coffee houses also will offer active samplings the first few weeks of the launch. The drink debuts the following day at Weiland’s Market in Clintonville and The Hills Market Downtown and in Worthington. Look for our locally canned coffee in the refrigerated section!